Are Those Jeans Really Back In Style? We’ve all heard the question, and many of us have even uttered it ourselves. You know, the one that comes to mind when you see someone walking down the street in a style you thought was thrown out with 8-track tapes, big hair, and beanie babies. You just can’t help but ask, “Is that really back in style?”. This season, you may find yourself asking that question with more frequency thanks to the increasing popularity of a wide array of throwback denim. While these styles do harken back to yesteryear, today they’re being worn with a more modern twist. In search of our favorite blasts from the past, we dug into the Buckle archives, our own personal photo albums, and even a few pop-culture reviews. We’ve gotta admit, we definitely prefer today’s take on these styles. 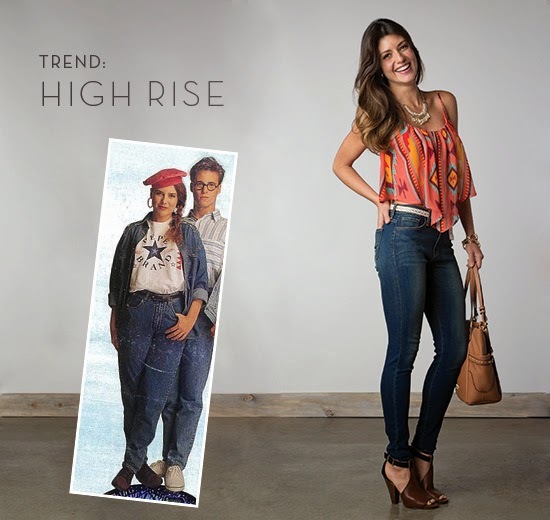 Today’s high rise jeans are fitted and form-flattering. They pair best with shirts that show off, rather than cover up, the high waistline. Crop tops are a popular option, but for those a bit more hesitant to bear the extra skin, a tucked-in tank top also does the trick. 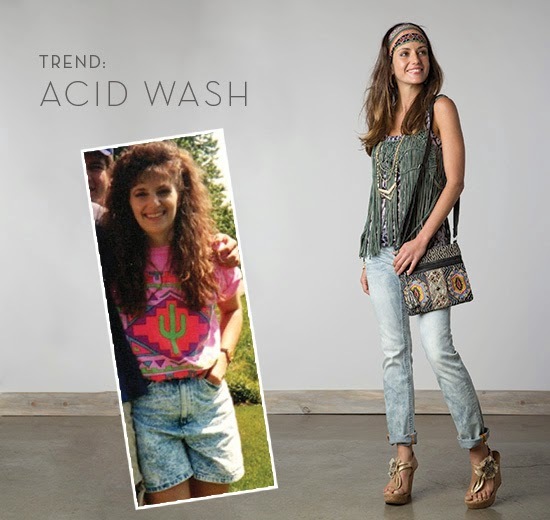 Modern versions of this style bring acid wash into the twenty-first century by varying levels of wash and other distressing techniques at key points on the jean to emphasize and flatter your legs. We love them with just about anything – from a boho fringe top to a rockin’ leather jacket and everything in between. 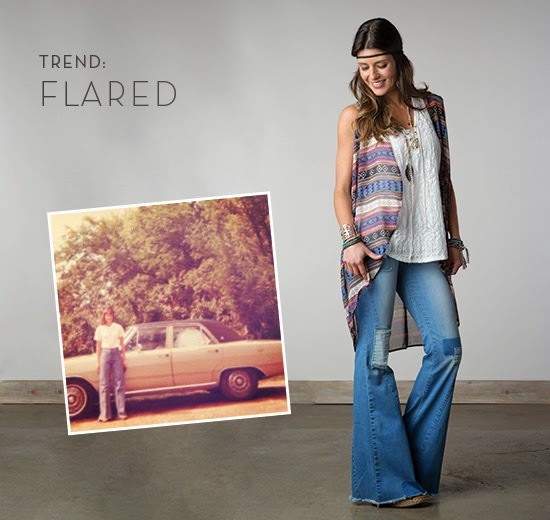 With a magic-like capability to thin and elongate your legs, it’s no surprise that flares are making a comeback. Today, we love them slightly distressed, patched, and matched with boho tops and accessories. If you ask us, this trend never really left. The amount and placement of the destruction has just evolved over the years. 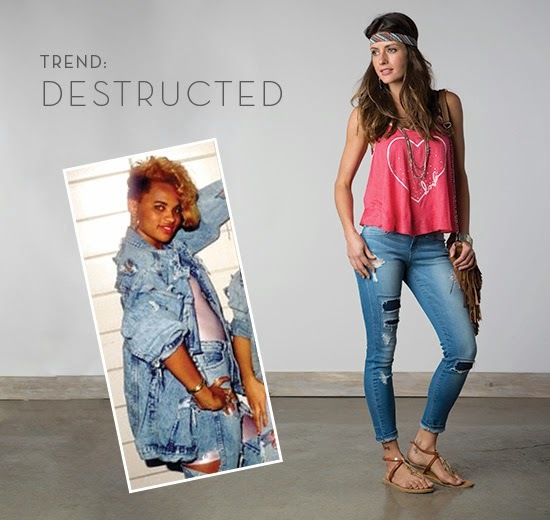 With a laid-back, worn-in vibe, this destructed jean style is perfect for a carefree summer look. Modern skinny jeans are both flattering and versatile. With a clean streamlined look, they can serve as the foundation for nearly any style of outfit. Our favorite options? Roll the bottoms and pair with a flowy top, or tuck into boots and throw on a fitted top layer. Don’t let us have all the fun! Share your embarrassing nostalgic denim photos, and tell us how you’re modernizing these trends.